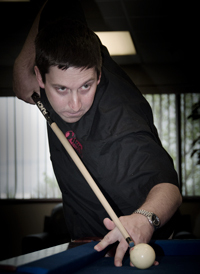 We’re a bit unusual in the billiard industry. At Viking, we control the process from start to finish, in one location. We all feel a part of every cue that goes out our doors and take tremendous pride in what we do. One location, one team, one result—the most beautiful and best performing cues you can buy. The manufacturing of cues here at Viking has evolved from being the realm of a single cue maker to the collective efforts from many skilled specialists. 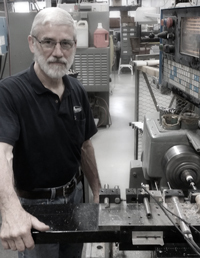 Our Viking designers, artisans and engineers all add their knowledge, artistry and diverse disciplines to create the next generation of pool cues and shafts for players who demand nothing less than the best quality, beauty, and precision. At Viking, we know that craftsmanship and performance go hand‑in‑hand. That explains our obsession with the little things—especially when it comes to creating the game‑winning technology that goes into every Viking pool cue and performance shaft. 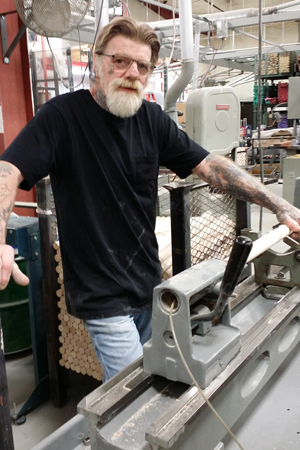 Viking makes cues at its new manufacturing facility located in the heart of Wisconsin. We listen every day, we treasure the accolades and take to heart any complaints. The entire team gets excited over new designs and technologies. We create products with people we call friends. We’re believers—that you finish what you start, in one place, one community, one country. We’re proud of what we do and we think that matters to you, to the Viking employee, to the people in our customer community, and we even think it matters to America. Made in the USA. It matters.